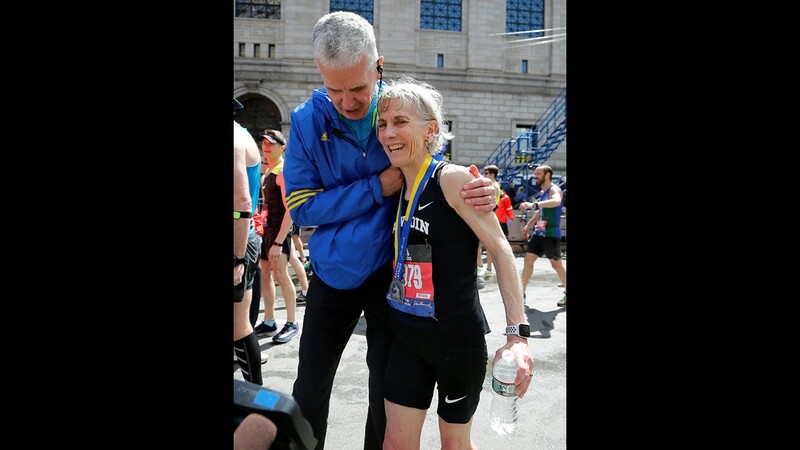 Joan Benoit Samuelson beat her goal – finishing this year's race within 40 minutes of her 1979 time – by about 11 minutes. 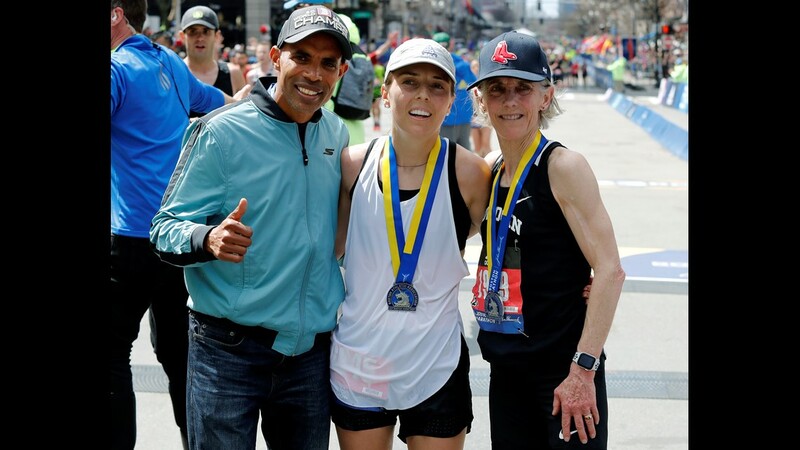 BOSTON — Maine's Joan Benoit Samuelson has once again defied the odds, something she has continually accomplished throughout her entire running career. 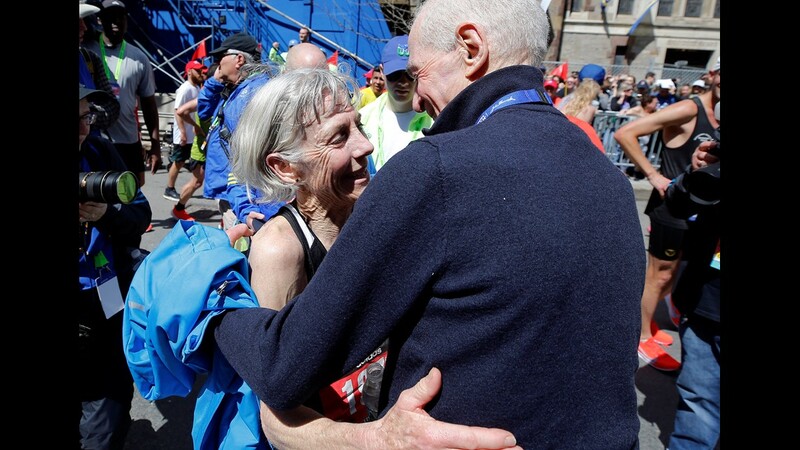 On Monday, the 61-year-old ran her first Boston Marathon since 2015. The feat marked 40 years since her 1979 debut at the race. The then 21-year-old Bowdoin College student surprised everyone with a course record of 2 hours, 35 minutes, 15 seconds. She did it all in a Bowdoin singlet, too. She wore a similar black, Polar Bear singlet for this year's race. Samuelson finished in an even 3 hours, 4 minutes — 28 minutes, 45 seconds off her victorious time 40 years prior. The Cape Elizabeth native's goal this year was to run within 40 minutes of that time. She finished with 11 minutes, 15 seconds to spare. 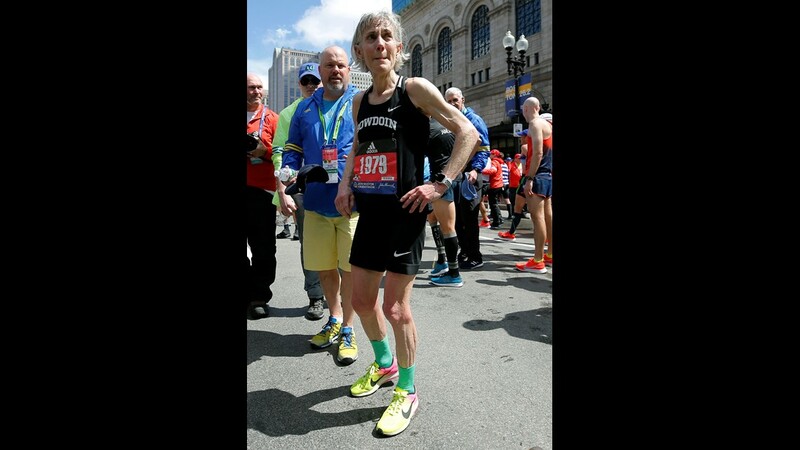 Samuelson, who lives in Freeport, averaged around 7-minute miles over the 26.2-mile course. She ran 41:47 for the first 10 kilometers and crossed the half mark at 1 hour, 29 minutes, 55 seconds.